Before you suit up and enter the blind, you must first learn to use arguably the most important tool in waterfowl hunting: the duck call. The duck call is an instrument designed to emulate the many sounds of ducks. There are many different nuances of duck calls, but the two main categories are handcrafted wooden duck calls and acrylic based duck calls. A duck call can be compared to a woodwind instrument in the sense that they both use reeds. Just like musical instruments, duck calls are certainly not easy to master. Perfecting your duck call requires you to begin by determining which type of duck call is right for you. To get started, determine which material you would like your call to be made out of. Wooden duck calls are usually more cost effective, however with the lower price comes a higher likelihood of problems arising with your duck call. The wood is more likely to warp and change overtime with regular usage and exposure to water. Opinionated hunters argue that wooden duck calls actually make more accurate calls similar to those of a real duck. These wood-loyal individuals reinforce their views with claims that the call sounds less obnoxious and more placid sounding than their acrylic counterparts. Despite the strong roots based in wooden calls, acrylic calls have some major selling points as well. Arguably the most noticeable benefit to purchasing an acrylic call is that it will last for a much longer time than a wooden call. Acrylic duck calls are more pricey upfront, but their durability could save you money in the long run. If you are hunting in inclement conditions, an acrylic call may also save you some effort as they are louder than wooden calls. 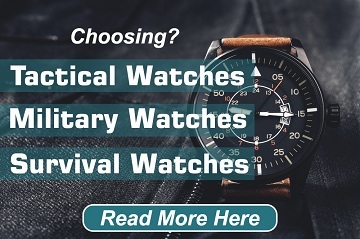 This allows you to lure in prey from larger distances, or gives you an edge that a wooden call would not give you when there is chaotic background noise. You also must decide whether you would like your instrument to be made out of one or two reeds. One reed duck calls are much more effective in sound control, allowing you to really pinpoint your sound. These calls require a larger learning curve to get comfortable with. In comparison, two reed duck calls are much easier for beginners to work with, however they require more breath usage while operating the call. After you select the perfect duck call for your preferences, get used to holding it and practicing a grip that works for you. 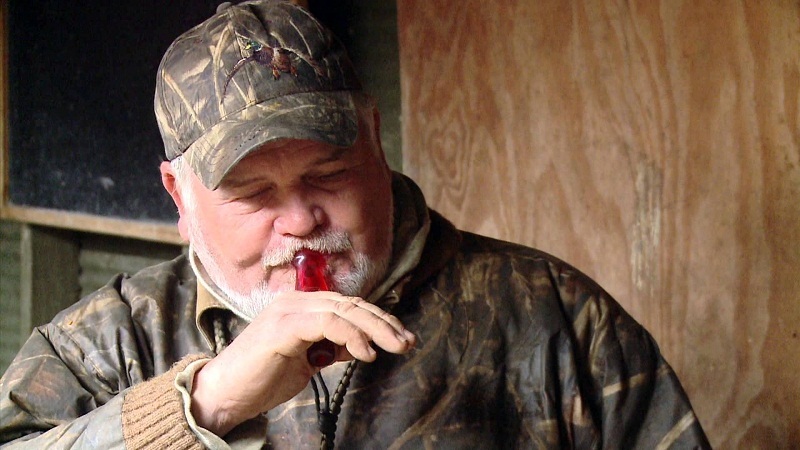 There is no proper way to hold a duck call, but you must find an effective way to control the sound. The sound is released through a hole in the call, a large majority of people hold the duck call with one and use their pinky and ring finger to cover the hole and adjust the tone as necessary. Some people prefer to use both of their hands and hold the piece in one hand while their other hand’s palm covers the hole, altering the sound. The instrument should be placed in the center of your mouth and rest in between your teeth. No matter what, you cannot be a wimp when you are using this tool. Instead of thinking that you are blowing into the call like you would an instrument, try to imagine that you are coughing into the piece, exerting a decent amount of force into it. Another potential method is emitting sounds similar to football players make “hut, hut, hut” – it is the same general idea. These techniques require the use of your diaphragm, so it could take some practice to get used to. You have to make sure your call sounds authentic before you can properly use the call in the field. Your calls must be very succinct and punctual in order to be authentic and believable. The hut method is great if you are looking to make the stereotypical quack sound associated with ducks, but of course there are varying calls that you can work with to mimic their language. Breeding, feeding, and introductory calls are great additions to your call arsenal, but should be learned after you master the basic tenets of the duck call. Once you’ve got the simple call down, you can advance to imitating their breeding call. The breeding call sounds like a more drawn out quack (quaaiCK) (quaa-iCK). Add their feeding call to your weaponry. Ducks congregate for meals using a “tikki tukka tikka” quack. If you just want them to feel like they’re surrounded by duck friends, give them a warm greeting with a call that goes like “kank kank kank”. Importantly, if the ducks are attracted to your decoys make sure not to spook them. Too much calling may raise suspiscion, so only use your call if you need to lure them in. Cleaning your duck call is very simple, just let it soak in warm, soapy water. Alternatively, you can use your favorite mouthwash to disinfect the call. After you’re doing cleaning the call, make sure to wipe it dry with a towel. If you disassemble your call, mark your reed with a marker where it meets the wedge so the call functions properly. Clean your call as needed or at the end of the season. Doing all these operations will make sure your call is in tip top condition. Remember, in order to properly call in ducks you must combine all of these skills and variables together to make for the perfect call. If you follow these steps you should be on your way to success in no time. Of course, you cannot master this skill over night, so make sure you devote your free time to practicing the basic calls, eventually advancing to the more complicated ones. These fundamentals on the duck call along with a certain amount of luck while you are sitting in the blind will lead to the rush and sense of success that comes with your very first kill.